Some Gold Nuggets Already Found. Udo’s House Smashed at Cue. Weather – Be Careful It's Still Hot Out There. 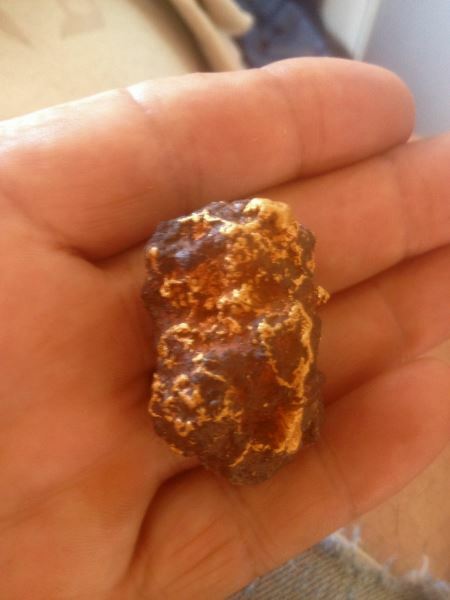 Just though you might lke to know that people are out there already looking for Gold Nuggets. We have our first seminar the Easter Weekend and really looking forward to it. Udo has probably got a few misgivings as his house got smashed by a freak storm today in Cue as did a few other places like the old Post Office building, plus there was plenty of thunder, lightning and rain. 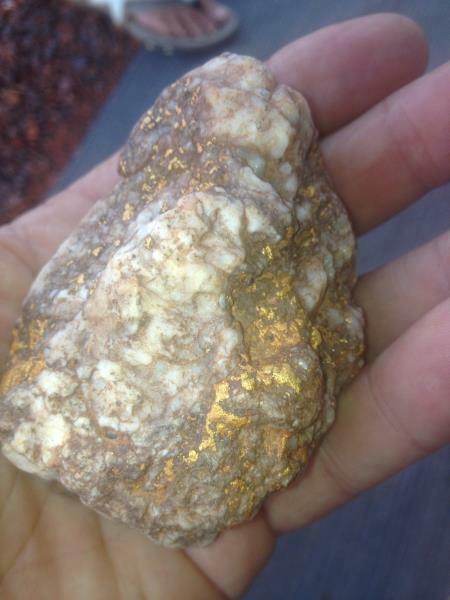 I cant tell you where he got the gold - it was North of Kalgoorlie -but he got it in the last few days…awesome effort. Udo’s House Smashed in a Storm at Cue today - 16th March 2016. There was a freak storm at Cue Wednesday 16 March and Udo’s house got smashed . 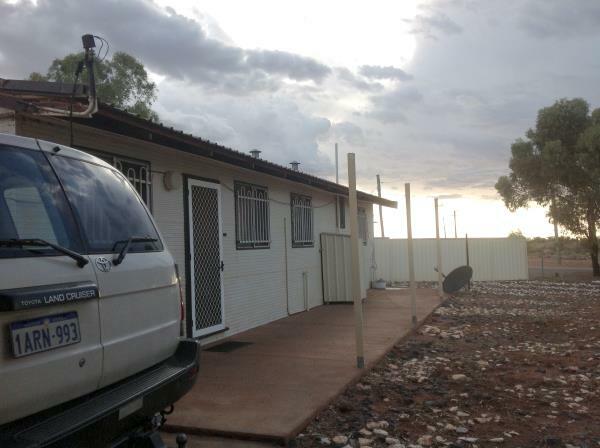 He lost half his carport and the front verandah, a few other places also copped it like the old Post office building in Cue. I haven’t checked my place in Cue yet, God willing it’s all ok.
Luckily the BBQs didn’t get washed away so we can still get stuck into some BBQ tucker and fellowship at the first seminar at the Easter weekend – it’s only 10 days away to our first seminar, incredible. For those coming to Cue the Caravan Park is ok and the pub is still standing so thats good. Just be aware that although it is getting close to prospecting season the weather out here is still pretty hot in most places in WA. You need to take extreme care and precautions if you are venturing out this time of the year. Or for Cue Weather Temperatures and Rainfall Average CUE WA. 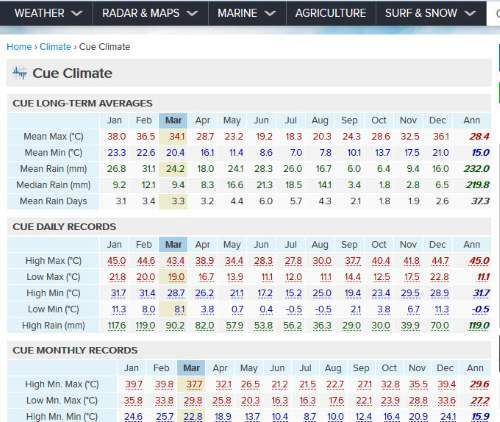 Weather Temperatures and Rainfall Averages CUE WA. Department Of Mines Has Another Geoviewer Training Date. here is the page that relates to Geoviewer training run by the DMP. Geoviewer Training DMP Perth WA. That page however does not show the new date of 21 March in Perth, the DMP page above tells you how to get access to the training. How to use explorer and browser. Another Great Service from DMP the E Newsletters Published by Geological Survey Division. BOM – Geoviewer Training DMP Perth WA.